Many proponents pimp the PGF as their best evidence, yet few come here to promote or even defend it as of late. Is this indicative of a lack of confidence in the PGF as good evidence, or a lack of confidence in proponents who might defend it? If the PGF is dying as a symbol, isn't bigfootery terminal as well? It doesn't seem possible on the surface, but . . . I think you may be touching on something here. Despite the popularity of some TV shows, it seems that bigfoot is dying somewhat. With no new evidence being brought forward, never ending arguments begin to lose steam. There is even a skookum thread necrod over at the BFF. The PGF, in particular, has been discussed ad nauseam. What is really to be gained by tap dancing on the dead horse some more? Bigfootery is at an evidentiary dead end. No one is really producing anything that even passes the sniff test anymore. The most recent thing I can think of the Dr.Johnny Dagger bone pile thing. The conversation at the BFF is tepid at best around this "discovery". I have zero interest in discussing the PGF in any detail. But I completely understand those that do, wishing to keep this thread on topic. Whether or not everyone is interested in a thread topic, it is still proper forum rules and decorum to stay on topic. And these photos of a man in a hairy suit prove what, exactly? So a guy with a dubious past decides to shoot a bigfoot movie. He has a friend dress up in an Indian costume but they don't have a bigfoot costume for this bigfoot movie. Later they are out not far from a logging road in an area frequented by a bigfoot track hoaxer. Without trying, they stumble upon a real bigfoot and shoot a few seconds of footage. When they get back home, the guy parades the film around like PT Barnum complete with an actor portraying his sidekick. The original film is then lost. Attempting to gather more evidence of bigfoot, they guy tries to return to the original location but misses it by 8000 miles. That's my understanding as well. It's what made me doubt the whole thing was truthful when I learned about the PGF. That humans enjoy fictional topics. I love how they took the black image blob over the mouth in the full-frame, and in the Cibachrome, turned it into a smile. The black image blob is clearly visible in the full frame right over where the imaginary mouth-line is. I'd genuinely love that picture on a t-shirt! Also says Roger was going on a year long Bluff Creek bigfoot expedition soon. Last edited by LTC8K6; 28th August 2015 at 07:17 AM. 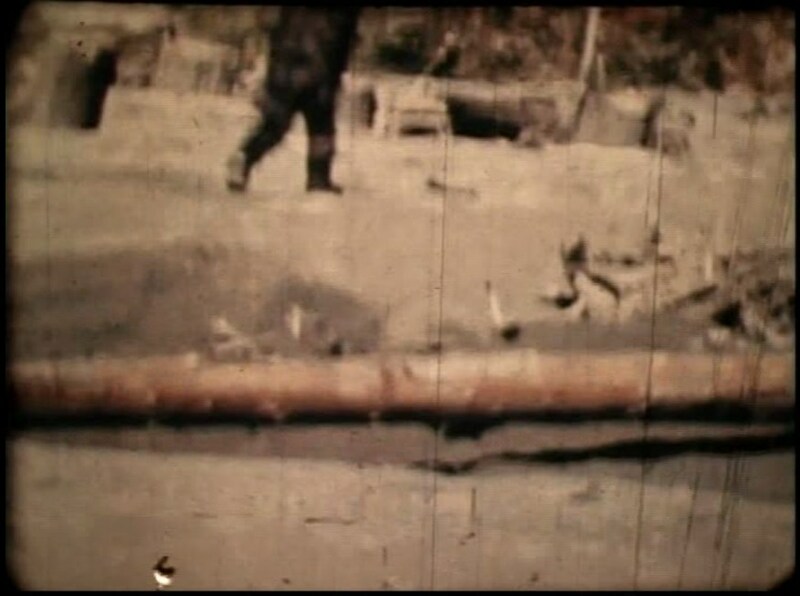 Is the Wallace Alderfoot, the one with the crack on the heel, that is visible in some footprints? Yes. It also has the double ball behind the big toe. Yes, we discussed it here about 5 years ago including showing that Wallace cast as being from Patty. Yeah, but who remembers that except us crusty old timers? Ah yes, the good ole days, before the troll infiltration. 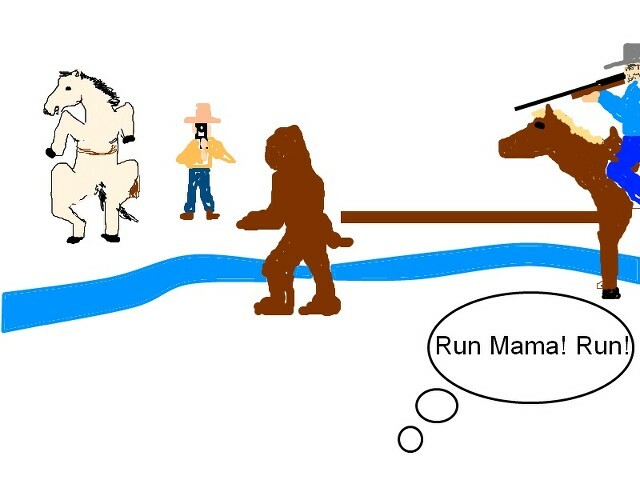 Which, of coarse, proves bigfoot because it shows idiosyncratic diversity among the species. I was on the international space station at that time (it appears) so this may have been discussed before, has there been any thought about a direct Wallace-Patterson connection or maybe even partnership on the PGF? It makes some sense, maybe especially considering how "secret" it appears Wallace had kept his own footprint secret. 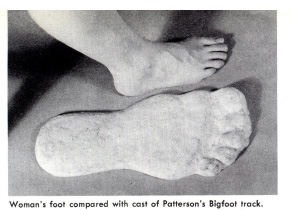 It's a fact that Patterson wanted to 'create' Bigfoot, why not partner up with the one other guy who's already done it? Honestly I don't remember ever seeing a picture of him, is there any possibility Wallace could have been the guy in the suit? A production assistant? A tack and feed hand? Already in Thailand? Patterson went to meet Wallace. They did not keep minutes of the meeting, lol. The one in the photo is not the cracked heel one. The photo shows a left foot while "crack heel" is a right foot. This photo also shows that the toes have been modified before the plaster was poured. The classic Wallace Alderfeet have cartoonish square toes, and you can see here that they have been "corrected" before plaster casting. It looks like someone took an alderfoot, made an impression with it, filled in the toe area, and made new toes farther out, then cast it. I can still sort of see the original alderfoot toes behind the new ones. If I understand you correctly then I disagree. IMO, this started out as the classic double-ball Wallace Alderfoot. If you look at the cast and count the two balls you see that there are no filled in original toes with a new set placed further out. The original toes are modified but not relocated. I would really like to find another example of pinkyfoot. I mean, it must have been used more than a few times. Last edited by LTC8K6; 31st August 2015 at 08:12 AM. You mean like a Pinkyfoot trackway? Not a chance! We both know that Wallace Alderfoot casts with modified toes are almost certainly going to be one-of-a-kinds. When you are manually modifying the toes in the dirt before pouring the plaster - you are not going to do a whole series of those. What I'm curious about (but will probably never get answers) is the approach and interaction of Patterson and Wallace. 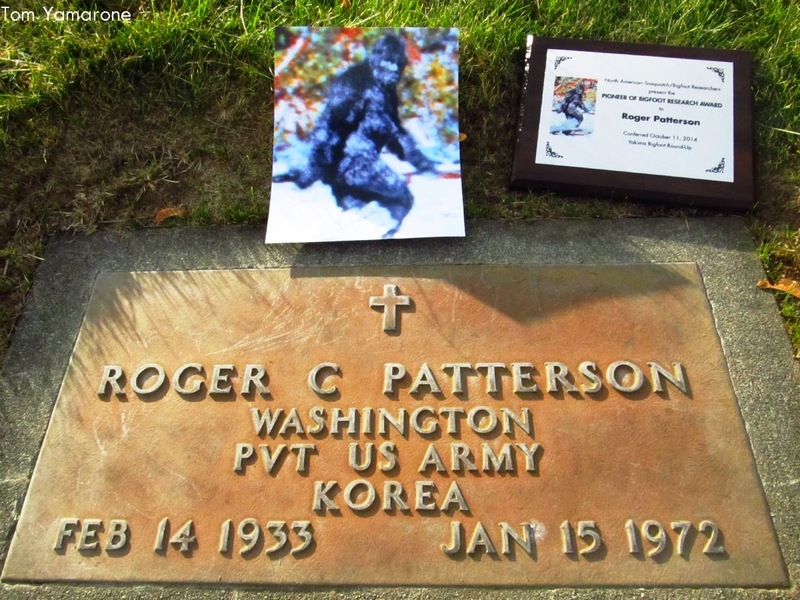 Did they freely speak to each other as fellow Bigfoot hoaxers, or did they treat each other as genuine Bigfoot believers (Patterson had already claimed personal encounters) who never engaged in hoaxing, or what? Left to right: Humboldt Standard reporter Bill Chambers, construction worker Ed Schillinger and Ray Wallace. This is October 1958 near Bluff Creek. Wallace is measuring his own fake footprint. Photo #2 - Jesus cross with dove on that hat? Does the religious wingnut element of bigfootery run deep? 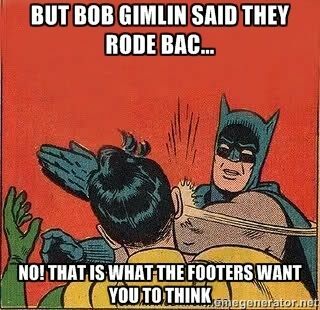 That's true huh given the one other guy that we know of who knows anything, Bob Gimlin, will never come clean. Being that Gimlin himself has basically denounced everyone else who's ever laid claim to any knowledge of the situation, he'd be foolish to unless he just wants to clear his own conscience. Can't count on that. As for their potential interaction, I can see a comedic scenario easily happening. They both act like they're "believers" so it's strictly 'just the facts ma'am'. Patterson picks Wallace's brain etc. Then at the end Wallace can only think to himself "what a maroon, there is no Bigfoot." Patterson says thanks for the info and runs. Next thing Wallace knows there's a gawd ****** Bigfoot on his local movie screen. Actually, I believe they both totally knew each other's game and interacted accordingly (if they did at all). You keep my secret I'll keep yours. Wallace knew that if he gives up Patterson he'd be giving up his own game too. And vice versa. Again, the only other man still alive who knows the truth is neither honest nor talking. I've noticed this in many pictures from that era, there seems to be uber little or no appearance of alarm/cautiousness/wariness in the subjects (in any one picture). They always seem just so happy to be there. 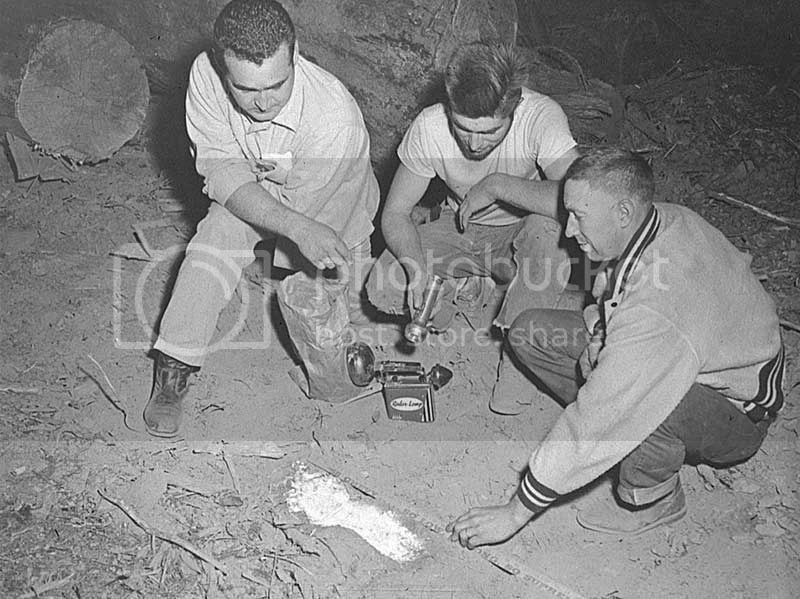 These guys appear to be out at night in the woods casting and ogling at a supposed monster ape man's print(s). But they're acting like 'nope nothing to see here folks just some missing plaster of paris'. There's no obvious guns, knives or personal protection of any kind present. Yet they're literally on the trail of a supposed huge man beast with big feet. Not a knife, side arm, nothing? Fearless? Nothing to fear? I think you are asking me that because you already know that I have talked about it. Bigfootery seems to me to have strong ties to those who identify themselves as Christians. I don't know if this is simply local culturalism (whereby many people in a certain region identify themselves as Christian and therefore many Bigfoot witnesses around there are likely to be Christian) or if it is more complex than that and that I am seeing a pattern that doesn't really exist as something significant or meaningful. 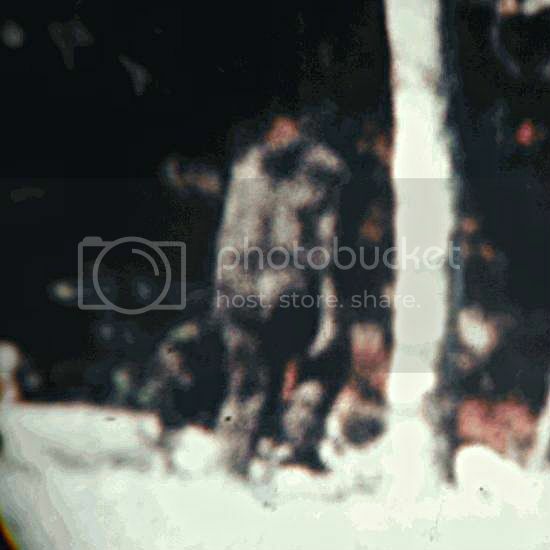 I don't know, but it's hard for me to ignore wholesale all of the people who publicly identify themselves as Christian and were part of classic Bigfootery as well as those now in modern Bigfootery. I'd be curious to know of the percentage of atheists who say they believe in Bigfoot versus the percentage of self-identified Christians who say they believe in Bigfoot. But then I'm skeptical of public polls on Bigfoot belief mainly because it's potentially another way to play a form of Bigfoot hoax (i.e. 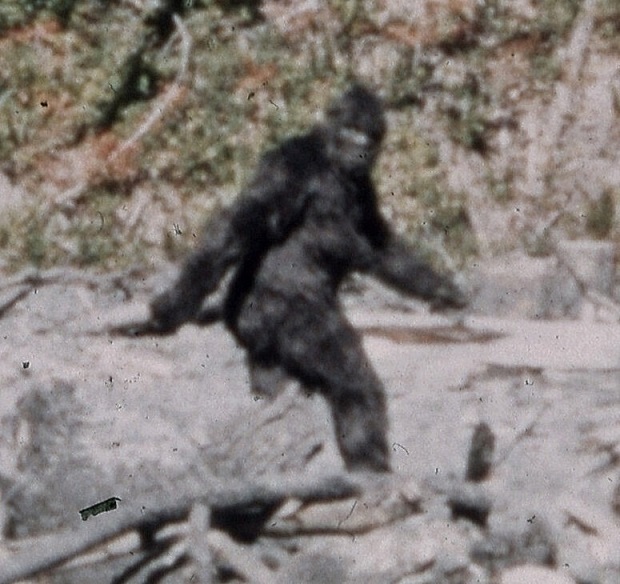 tell the poll that you believe that Bigfoot exists when you really don't). What Wallace appears to me to be wearing is a cap with the Navy anchor on top of the Christian cross. I think you are asking me that because you already know that I have talked about it. I've noticed this in many pictures from that era, there seems to be uber little or no appearance of alarm/cautiousness/wariness in the subjects (in any one picture). They always seem just so happy to be there. 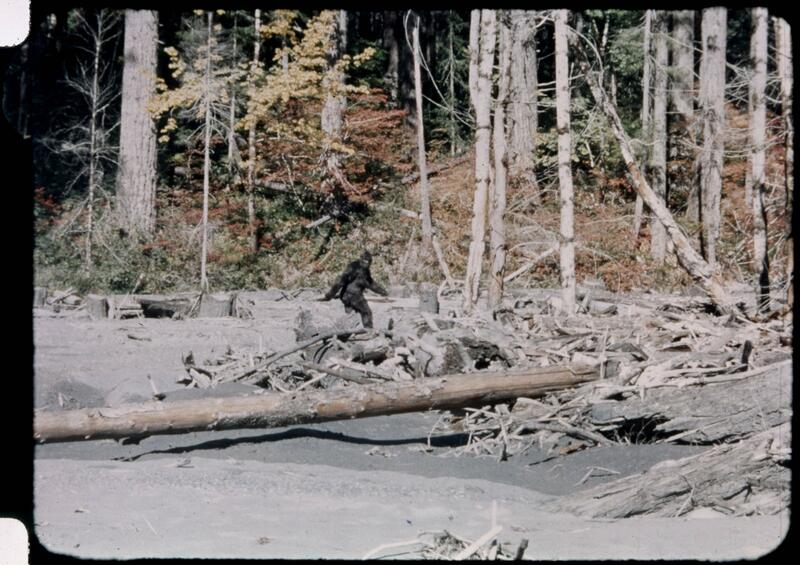 It may be that nobody in the photograph actually believes that Bigfoot exists. Or, it may be that the actual existence of Bigfoot is totally besides the point of the myth. Or, something else. 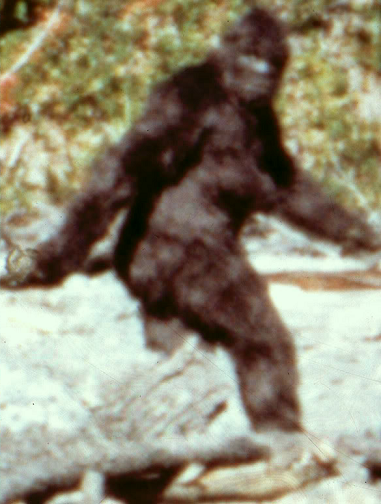 Or maybe they somehow already know that Bigfoot won't get near any camera. "We are here celebrating the great American myth and please hurry up taking the picture because I have to hurry home and say grace with my family before our supper." I thought that you had read my past postings on this. But I could still be way off the mark with the association. Shrike, it isn't simply Christianity, it's that classic Bigfootery has ties to Evangelical Christianity which is commonly known as Born Again Christian. Predominantly, these people are Creationists. We may think of this as being a part of the geographic Bible Belt, but I learned that there were (and are) strong enclaves of this well outside of the Bible Belt. Guess what, the Pacific Northwest was and still is a hotbed of Christianity way outside of the Bible Belt. I don't think that it is so odd for a Christian Navy veteran to wear such a hat. Maybe it is odd, and that Bigfoot hoaxer Wallace identified with Christianity to such an extent that he liked the mash-up with his Navy service. The American armed forces are said to be strongly tied to Christianity and Bigfootery loves the hell out of military men who are Bigfoot witnesses because, well, because I don't know, maybe they think that these people don't lie about things like Bigfoot or maybe don't lie at all. They also absolutely love law enforcement guys who witness Bigfoot and again there is a strong tie to cops and Christianity and still again that's all about dudes who don't tell lies. You should see the interview of Al Hodgson (key figure in PGF history) by Steven Streufert where Al rambles on about Jesus and Judgement Day. He brings up and rolls with this in an interview about Bigfoot and the PGF! I posted quotes from that here years ago. I'm writing to you about a true story of what happened in Wildwood Park, in the wooded area of Puyallup, Washington. And was sent to Western State Hospital for it- I'm out now. I gave the Police of Puyallup a taped confession of my horrifying experience, four different times. The first time was at about 2:30 in the morning. I awoke without hearing a noise, knew something evil was outside my tent. I could sense it. As I reached for my rifle and flashlight, the ground shook as it ran away, very fast. I left my Honda bike, pack, tent, and moved next to a roadside. My second time was at a large clearing, when at just before dusk a very small man-like creature ran around me in a large semi-circle, going into the woods just before a car came into view. ...I worked for the fair city of Puyallup on the Sanitation Dept, part-time for close to two years, before all this happened. As I worked I built myself up after I read a new book by Mr. Ivan Sanderson. My meeting of these incidents may have been no accident, for I have lived out in the open much of my life. I've learned to be very sneaky, if I wish to be. I've enjoyed camping, and living out of doors, more than living inside. It's my nature, A born woodsman, I've read your interesting new book, "Do Abominable Snowmen of America Really Exist?" and I enjoyed reading it very much. I like the location of St. Helen's Mountain area for the possible area of contact with the Sub-Humans, and perhaps motion pictures. I hope to find out if these creatures are safe or the possible "Destroyers" which the "Bible" says there are in Genesis, Chapter 26. If they came to me once, I am sure they'll come to me again. In the daylight, I hope, so I can get used to their appearance, and study their nature at some distance. It's only a guess, but St. Helen's mountain area may be of a hostile ~, because of past events, etc. It may be that the closer to civilization their area of roaming is the safer ours may be. It's only a guess. But what happens if they become too brave? Because of a possible rifle shot, (to scare) in self-defense, I'm hoping to go into the St. Helen's mountain area, sometime this summer, alone, if I have to. Because of my Christian family, and training, I feel I may be able to live through any ordeal with these Sub-Humans. I don't care to hurt them, or cause alarm to the public, or them. This is the main reason, why I waited for about three years, before contacting people who know what I'm talking about. Thank you for your book. "I'LL SUE." vows Ray Wallace of Willow Creek referring to accusations allegedly made by Humboldt sheriffs office that he was the perpetrator of a hoax in the Bigfoot prints found on the upper Bluff Creek road project which his company is constructing. Wallace is a firm believer there is a creature making the sixteen-inch long tracks. He plans to attempt to trap the beast. 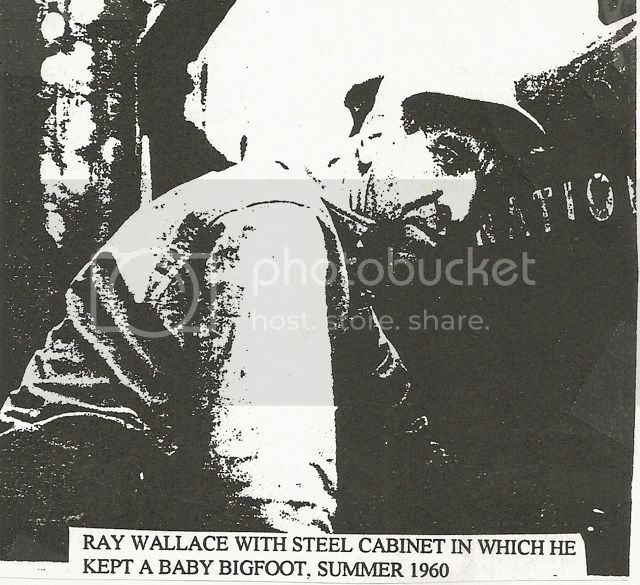 Ray Wallace makes hoax Bigfoot tracks. Sheriff says he hoaxed them. Wallace says he will sue the Sheriff. Seems like BLAARGing. Wallace makes the fake tracks and also pretends to believe in the existence of Bigfoot. His own hoaxing would fall on its face if he declared that Bigfoot doesn't exist and that the tracks are faked. 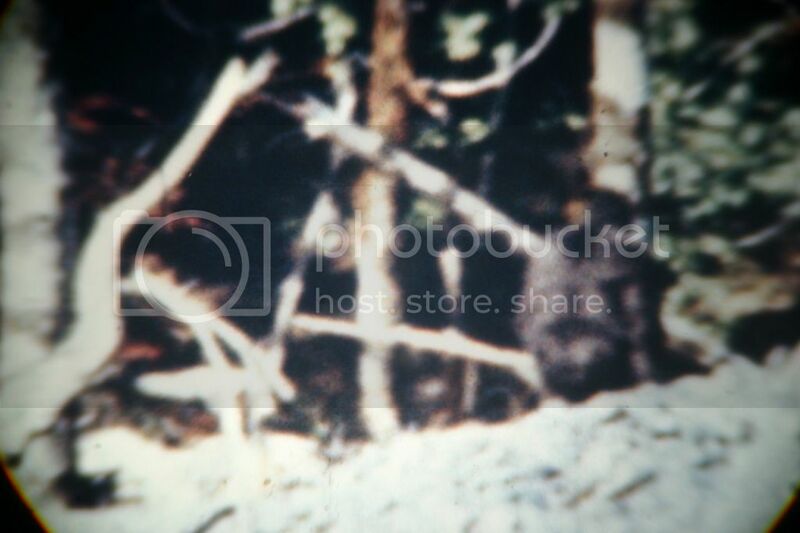 He claimed to have captured a baby Bigfoot. Seems like BLAARGing. Odinn (Gigantofootecus) has calculated Patty's speed at 3.8 MPH over the entire length of the walk. Maybe the guy in the suit needed to get out of it to take a leak. Last edited by eerok; 9th September 2015 at 07:51 AM.